BFGoodrich All Terrain T/A KO2 215/65 R16 S 103/100 5 шт. BFGoodrich G-FORCE WINTER2 215/65 R16 H 102 3 шт. BFGoodrich g-Grip 215/65 R16 H 98 12+ шт. BFGoodrich Urban Terrain 215/65 R16 H 98 12+ шт. BFGoodrich Winter T/A KSI 215/65 R16 T 98 12+ шт. Bridgestone Alenza 001 215/65 R16 H 98 12+ шт. Bridgestone Blizzak DM-V2 215/65 R16 S 98 12+ шт. Bridgestone Blizzak Ice 215/65 R16 S 98 12+ шт. Bridgestone Blizzak Revo GZ 215/65 R16 S 98 12+ шт. Bridgestone Blizzak VRX 215/65 R16 S 98 12+ шт. Bridgestone Dueler A/T 001 215/65 R16 S 102 12+ шт. Bridgestone Ecopia EP850 215/65 R16 H 98 12+ шт. Continental 4X4 CONTACT 215/65 R16 H 98 6 шт. Continental AllSeasonContact 215/65 R16 XL V 102 4 шт. Continental Conti4x4Contact 215/65 R16 H 98 11 шт. Continental Conti4x4Contact 215/65 R16 H 98 12+ шт. Continental ContiCrossContact LX 215/65 R16 H 98 12+ шт. Continental ContiCrossContact LX 2 215/65 R16 H 98 12+ шт. Continental ContiCrossContact Winter 215/65 R16 H 98 2 шт. Continental ContiCrossContact Winter 215/65 R16 T 98 1 шт. Continental ContiEcoContact 5 215/65 R16 H 98 12+ шт. Continental ContiEcoContact 5 215/65 R16 V 98 3 шт. Continental ContiPremium Contact 5 215/65 R16 H 98 12+ шт. Continental ContiViking Contact 6 215/65 R16 XL T 102 8 шт. Continental ContiViking Contact 7 215/65 R16 XL T 102 12+ шт. Continental CrossContact ATR 215/65 R16 H 98 12+ шт. Continental WinterContact TS 850 P 215/65 R16 H 98 8 шт. Continental WinterContact TS 850 P 215/65 R16 H 98 7 шт. Cordiant All Terrain 215/65 R16 H 98 12+ шт. Cordiant Off Road 215/65 R16 Q 102 12+ шт. Cordiant Polar SL 215/65 R16 T 12+ шт. 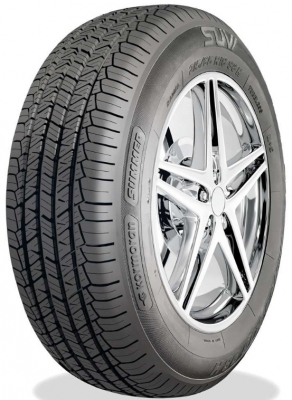 Cordiant Winter Drive 215/65 R16 T 102 12+ шт. Cordiant Спорт 3 215/65 R16 V 102 12+ шт. Dunlop Grandtrek AT3 215/65 R16 H 98 12+ шт. Dunlop Grandtrek PT3 215/65 R16 H 98 12+ шт. Dunlop Grandtrek SJ6 215/65 R16 Q 98 2 шт. Dunlop Grandtrek ST20 215/65 R16 S 98 1 шт. Dunlop SP SPORT FM800 215/65 R16 H 98 12+ шт. Dunlop SP Sport LM704 215/65 R16 H 98 12+ шт. Dunlop Winter Maxx Sj8 215/65 R16 R 98 12+ шт. Dunlop WINTER MAXX WM01 215/65 R16 T 98 12+ шт. Dunlop WINTER MAXX WM02 215/65 R16 T 98 12+ шт. General Grabber AT3 215/65 R16 S 103/100 4 шт. General Grabber GT 215/65 R16 H 98 6 шт. Gislaved SoftFrost 200 215/65 R16 T 102 12+ шт. Goodyear Efficientgrip Performance 215/65 R16 H 98 12+ шт. Goodyear UG ICE 2 MS 215/65 R16 T 98 12+ шт. Goodyear ULTRA GRIP PERFORMANCE GEN-1 215/65 R16 H 98 8 шт. Goodyear ULTRA GRIP PERFORMANCE GEN-1 215/65 R16 H 98 4 шт. Goodyear UltraGrip Ice+ 215/65 R16 T 98 12+ шт. Hankook DynaPro HP RA23 215/65 R16 XL T 102 12+ шт. Hankook DynaPro HP RA23 215/65 R16 H 98 12+ шт. Hankook Dynapro HP2 RA-33 215/65 R16 XL V 102 12+ шт. Hankook Dynapro HP2 RA-33 215/65 R16 H 98 12+ шт. Hankook DynaPro I Cept RW08 215/65 R16 Q 98 12+ шт. Hankook Ventus Prime 3 K-125 215/65 R16 H 98 12+ шт. Hankook Winter I*CEPT IZ2 W616 215/65 R16 XL T 102 12+ шт. Kormoran SUV Snow 215/65 R16 H 102 12+ шт. Kumho CITY VENTURE COMFORT KL33 215/65 R16 H 98 12+ шт. Kumho Crugen HP-91 215/65 R16 V 98 5 шт. Kumho I'ZEN KW31 215/65 R16 XL R 102 12+ шт. Kumho I'ZEN RV KC15 215/65 R16 H 98 3 шт. Kumho WP-51 215/65 R16 H 98 8 шт. Kumho WS-51 215/65 R16 XL T 102 12+ шт. Landsail LS288 215/65 R16 H 98 1 шт. Landsail Winter Lander 215/65 R16 H 98 11 шт. Marshal I'Zen RV KC15 215/65 R16 H 98 1 шт. Marshal MH-12 215/65 R16 H 98 12+ шт. Matador MP 72 Izzarda A/T 2 215/65 R16 H 98 12+ шт. Matador MP92 Sibir Snow 215/65 R16 H 98 4 шт. Matador MP92 Sibir Snow SUV 215/65 R16 H 98 12+ шт. Matador МР-82 Conquerra 2 215/65 R16 H 98 12+ шт. Maxxis AT-771 Bravo Series 215/65 R16 T 98 12+ шт. Maxxis Bravo HP-M3 215/65 R16 V 98 12+ шт. Maxxis HP5 215/65 R16 V 98 11 шт. Maxxis MA-S2 Marauder 215/65 R16 H 102 12 шт. Maxxis SS-01 215/65 R16 Q 98 12+ шт. Michelin Alpin A5 215/65 R16 H 98 4 шт. Michelin Alpin A5 215/65 R16 H 98 12+ шт. Michelin Cross Climate + 215/65 R16 XL V 102 12+ шт. Michelin Latitude Cross 215/65 R16 XL H 102 12+ шт. Michelin Latitude Tour HP 215/65 R16 H 98 12+ шт. Michelin Primacy 3 215/65 R16 V 98 12+ шт. Michelin X-Ice 3 215/65 R16 T 102 12+ шт. Nexen Nblue HD Plus 215/65 R16 H 98 12+ шт. Nexen NPRIZ RH1 215/65 R16 H 98 2 шт. Nexen WIN-ICE 215/65 R16 Q 98 12+ шт. Nexen Winguard SnowG WH2 215/65 R16 H 98 4 шт. Nexen WINGUARD-SUV 215/65 R16 H 98 11 шт. Nexen WINGUARD-SUV 215/65 R16 H 98 1 шт. Nitto NT860 215/65 R16 H 98 12+ шт. Nitto Winter SN2 215/65 R16 Q 98 8 шт. Nokian Hakka Blue 2 215/65 R16 V 102 4 шт. Nokian Hakka Blue 2 SUV 215/65 R16 XL V 102 12+ шт. Nokian Hakkapeliitta R2 SUV 215/65 R16 XL R 102 12+ шт. Nokian Hakkapeliitta R3 215/65 R16 XL R 102 12 шт. Nokian Hakkapeliitta R3 SUV 215/65 R16 XL R 102 12+ шт. Nokian Rotiiva AT 215/65 R16 XL T 102 12+ шт. Nokian WR 3 SUV 215/65 R16 XL H 102 12+ шт. Nokian WR D3 215/65 R16 XL H 102 8 шт. Nokian WR D4 215/65 R16 XL H 102 7 шт. Nokian WR D4 215/65 R16 XL H 102 12+ шт. Nordman (Нордман) Нордман RS2 SUV 215/65 R16 XL R 102 12+ шт. Nordman (Нордман) Нордман S SUV 215/65 R16 H 98 12+ шт. Pirelli Formula Energy 215/65 R16 H 98 12+ шт. Pirelli Scorpion Verde 215/65 R16 XL H 102 4 шт. Pirelli Scorpion Verde All-Season 215/65 R16 V 98 12+ шт. Pirelli Scorpion Verde All-Season 215/65 R16 H 98 12+ шт. Pirelli Scorpion Winter 215/65 R16 XL H 102 8 шт. Pirelli Scorpion Winter 215/65 R16 XL H 102 12+ шт. Pirelli Winter Ice Zero FRICTION 215/65 R16 XL T 102 12+ шт. Roadstone CP 672 215/65 R16 H 98 12+ шт. Roadstone N'FERA RU5 215/65 R16 XL H 102 1 шт. Roadstone Roadian HP 215/65 R16 XL H 102 12+ шт. Roadstone Winguard Ice 215/65 R16 Q 98 12+ шт. Roadstone WINGUARD ICE SUV 215/65 R16 Q 98 4 шт. Sailun ENDURE WSL1 215/65 R16 T 109/107 3 шт. Sailun ICE BLAZER WSL2 215/65 R16 H 98 3 шт. Sava Eskimo HP2 215/65 R16 H 98 4 шт. Tigar SUV SUMMER 215/65 R16 XL H 102 12+ шт. Tigar SUV WINTER 215/65 R16 H 102 6 шт. Toyo Open Country A/T plus 215/65 R16 H 98 4 шт. Toyo Open Country H/T 215/65 R16 H 98 12 шт. Toyo Open Country U/T 215/65 R16 H 98 12+ шт. Toyo Open Country W/T 215/65 R16 H 98 4 шт. Toyo Proxes CF2 215/65 R16 H 98 12+ шт. Toyo Proxes ST 3 215/65 R16 V 102 12+ шт. Triangle PL01 215/65 R16 R 102 12+ шт. Triangle TE301 215/65 R16 H 98 12+ шт. Triangle TR928 215/65 R16 H 98 12+ шт. Uniroyal RainExpert 3 215/65 R16 H 98 1 шт. Yokohama BluEarth-A AE-50 215/65 R16 H 98 12+ шт. Yokohama Geolandar A/T G015 215/65 R16 H 98 12+ шт. Yokohama Geolandar I/T-S G073 215/65 R16 Q 98 12+ шт. Yokohama Ice Guard 50 215/65 R16 Q 98 3 шт. Yokohama Ice Guard 50 215/65 R16 Q 98 5 шт. Yokohama Ice Guard 60 215/65 R16 Q 98 12+ шт. Yokohama Ice Guard iG30 215/65 R16 Q 98 1 шт. Yokohama IG50+ 215/65 R16 Q 98 12+ шт. Кама Viatti Bosco A/T V-237 215/65 R16 H 98 12+ шт. Кама Viatti Bosco S/T V-526 215/65 R16 T 98 12+ шт. Кама Viatti Vettore Brina V-525 215/65 R16 R 109/107 6 шт.